Magnitude is a Tucson brand marketing, public relations, and media agency. Our services include paid search, SEO, display ads, SMM, video, web content, virtual reality, and augmented reality production. What is Augmented Reality Production? If you know at least a bit about recent developments in tech, you might have heard the words “virtual reality” or “augmented reality.” However, if you do not work with these terms directly, you probably don’t know what they are all about. Virtual reality serves to immerse the user into a digital environment. However, unlike virtual reality, augmented reality enhances the real world with the help of digital tools. When a user experiences AR, he or she still sees and interacts with the real world. However, there are digital objects or unique content added to their experience. While many might think about it as a recent trend, AR has been around for some time in one form or another. Today, people can use certain apps, glasses or AR headsets to enjoy the tech. Remember when Pokemon Go was a major thing a few years ago? People were running around the world searching for virtual creatures to catch. This is an excellent example of AR in action. However, you can use it for your business, too, and here are a few tips to help you start. Several brands already caught to the trend and use AR to showcase their products to potential customers. For example, if you have an online shop, your customers can view a virtual version of our product and see how it fits into their home. This tactic is especially popular with car manufacturers and furniture items, but virtually any product can be presented using AR. AR offers excellent opportunities for training new employees. As such, it gives the users a virtual experience, on physical and psychological levels, that they can later apply to real life. 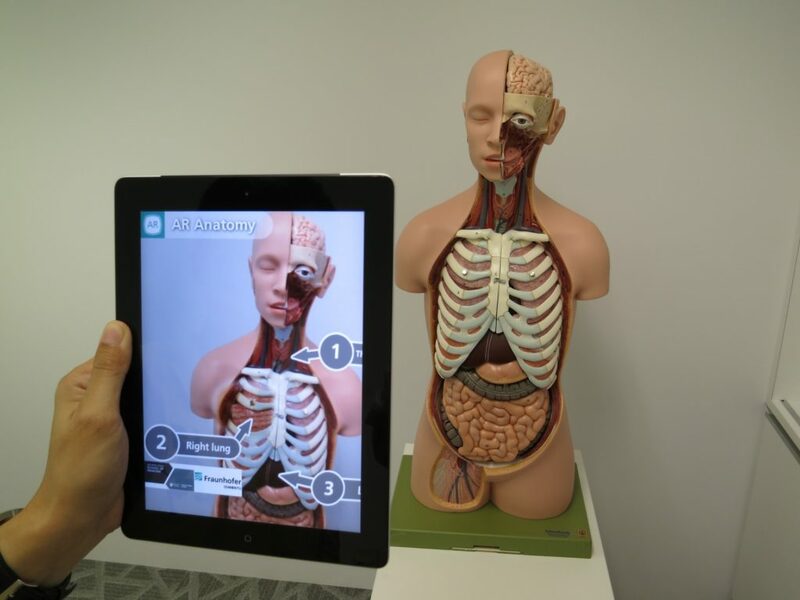 For example, AR appears in medical or space training. It’s like one of those simulation games on your PC from years ago, but with the benefit of being immersive. Get creative with your social media ads by using AR. Apart from making your videos stand out by enhancing the real world, you can also develop original animations, interactions, and filters for your social media ads. This way, you improve the experience of your users while also enhancing your brand image. Using AR for your business is not an easy task unless you have the resources and expertise to make it happen. Magnitude has them both. We believe that to thrive in mobile commerce companies must adapt and iterate quickly. Moreover, we understand the urgency of now and pride ourselves on rapid execution and adaptation. Contact us today and let’s talk about how we can help your business grow. If you are looking for more info about augmented reality production, check out these helpful articles.